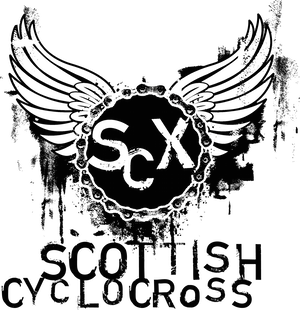 OK, so with two days to go before the Glenmore Lodge CX, here's the lowdown on what to expect. Glenmore Lodge is Scotland's National Outdoor Training Centre, smack in the heart of the awe inspiring Cairngorm National Park. The courses for the weekend in the grounds of the lodge incorporate sections of the Biathlon training loop and mtb skills loop as well as the grounds themselves. It is fast and tight racing not shy on gradient. Velo Club Moulin have had a lot of support for this round, none more so than from Glenmore Lodge, who have been nothing but helpful, a big thankyou. Bikelove, Bulmers, ProVelo Support, Road.CC, Endura, Mikes Bikes, SCX, Geoff Waugh Photography and Montville Joinery & Shopfitting. A big thankyou. The prize fund is growing and is in the region of £1800 for the weekend. Under 12s and 10s will receive spot prizes all donated by Mikes Bikes. Also we have two beautiful Cyclo Cross coffee table books donated by Geoff Waugh Photography, these are unfortunately in Belgian but are photo heavy and will be awarded to the HURDLE HERO, most stylish rider over the hurdles each day will receive one of these with a large Belgian brew to kick back post race. A little note on the splitting of the main race. In order to create a fast and flowing race, we felt it was necessary to split the open race, the fairest way to do so was to take the Veterans, Junior and Women out of the Open race, the consensus also was for this race to still last an hour, however any fast vets, junior or women who want to race open can do so but there will be no sub categories within it. The prize fund for the Open and Veteran races is the same. Enough on that, parking is tight at Glenmore so please car share where possible and park sensibly on the day. It's a beautiful location, enjoy it. 18:00 Fancy Dress Night Cross (YES you WILL need lights) Seniors only. For information on how to get to Glenmore Lodge, click here. Note that the postcode alone may take you to the wrong location, Google Maps (and therefore the British Cycling website) points you to the wrong outdoor centre. Just wondering if there is any prizes for the youth girls and the under 14 boys, because they aren't mentioned on the prize list. Hi Louise. Am sure it's just an oversight in terms of Youth prizes - I've emailed the organiser to check. Will post up when I hear back. Hi Louise, organiser says there will be prizes for Female Youth category. There's no official split of Youth A/B/C at series events (although organisers can award prizes if entry merits), but there will be at the Scottish Championships.